Porsche Design is not your average designer studio. 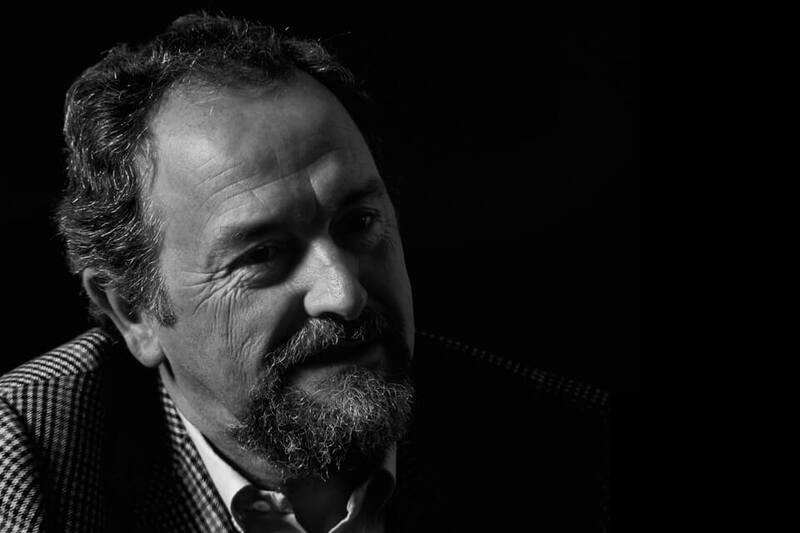 They have produced under the guidance of the great Butzi Porsche some of the most iconic and in parallel groundbreaking timepieces in history. 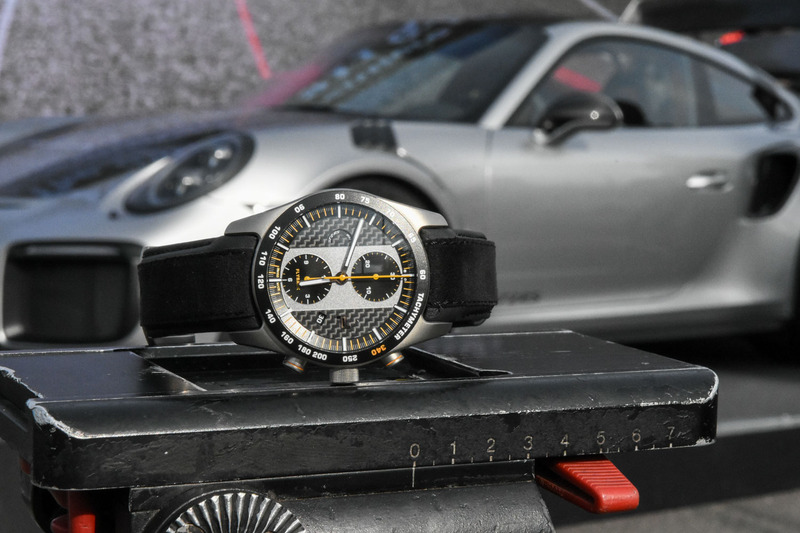 Chronographs in Black had always been part of Porsche’s DNA a legacy derived from the racing-car creations encompassing of course the form follows function principle. 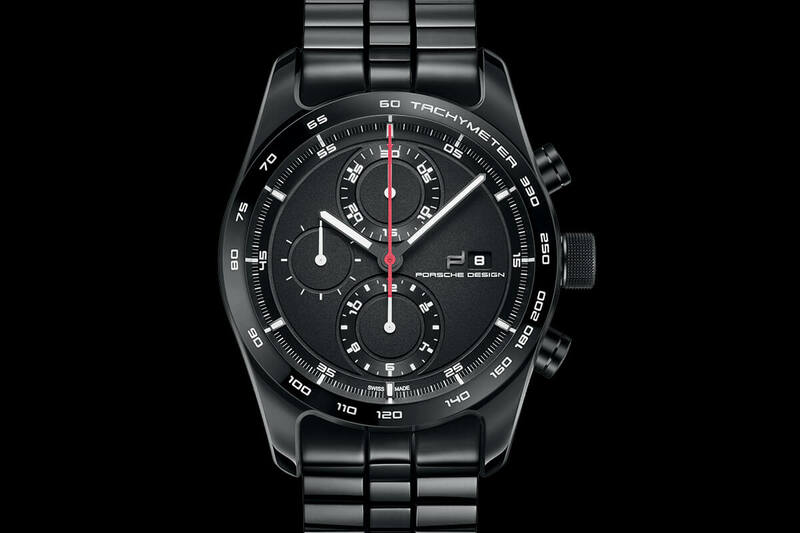 In order to keep the spirit alive, Porsche Design decided to introduce the Chronotimer Series 1 Timeless Timepieces by taking advantage of another iconic chronograph of the past; and this time it was not its color but the metal alloy used that made the watch a benchmark. As we have already mentioned, Ferdinand Alexander Porsche was one of the greatest industrial designers of the 20th Century. He conceived one of the legends; the Porsche 911. F.A. Porsche or Butzi as he was most notably known cast, in parallel, a deep mark upon the watch industry as well. His principles, derived from the Bauhaus movement in art made him create wristwatches that looked more like instruments ripped out from the cockpit of a Porsche 956 or a Mooney M20L piston-engined light aircraft. 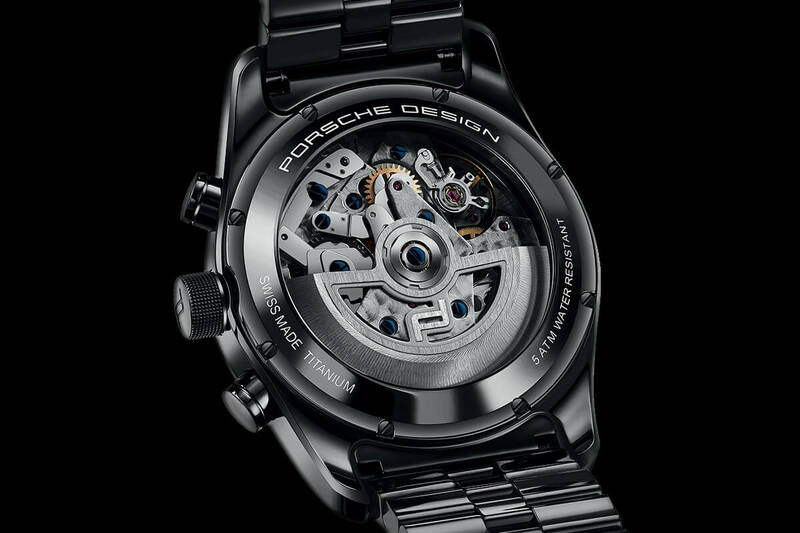 Optimal readability, technical perfection, the highest quality materials and a puristic design with an absolute focus on functionality were his and Porsche’s Design driving values when they designed watches. We wrote previously here in Monochrome, about one of the greatest chronographs ever created, the iconic Chronograph I designed by Porsche Design and manufactured under license by Orfina in 1972, and also by the company’s recent attempt to revive this classic design. 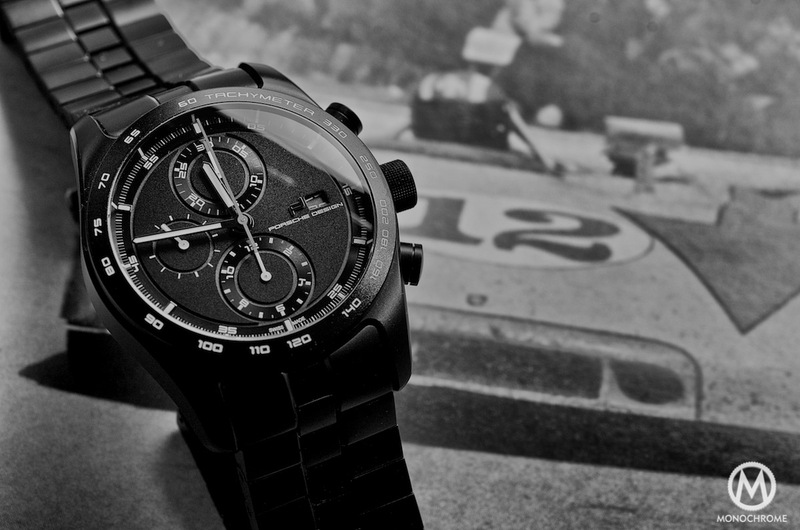 This chronograph was unique because of its black coating (PVD) affixed to the case and bracelet, which besides its stealth and unique look also brought anti-glare and other properties. The Orfina chapter ended when Butzi decided to cooperate with IWC in 1978 and there his ideas led him to create another groundbreaking watch. This time it was the material and not the colour. Yet again, form and functionality triumphed over inessential design elements that persisted during the 1970’s. Titanium was the material that Butzi decided to work with because he understood its inherent qualities. Titanium is as strong as steel and twice as strong as aluminum but is 45% lighter than steel and only 60% heavier than aluminum. Titanium is superior to stainless steel (SS) in terms of density and corrosion resistance. In addition titanium can be passivated, and thereby exhibit a high degree of immunity to attack by most mineral acids and chlorides. It is a nontoxic metal and generally biologically compatible with human tissues and bones. Pure titanium is difficult and expensive to produce, and it is also harder to work with than SS, thus adding to the overall cost in a watch. 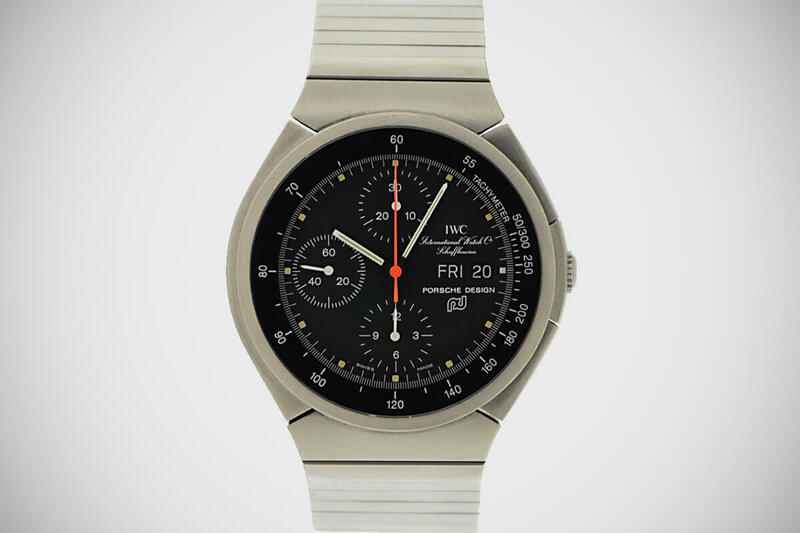 Therefore, in 1978 Butzi Porsche wrote yet another chapter in watchmaking history with his extraordinary design for a chronograph made entirely of titanium; the IWC by Porsche Design chronograph, Ref.3700. Due to their complex movements, chronographs had been heavy and bulky up until that point. Processing the new material, titanium, allowed the designer to construct a light and compact timepiece that was just as durable and precise as its stainless steel predecessors. 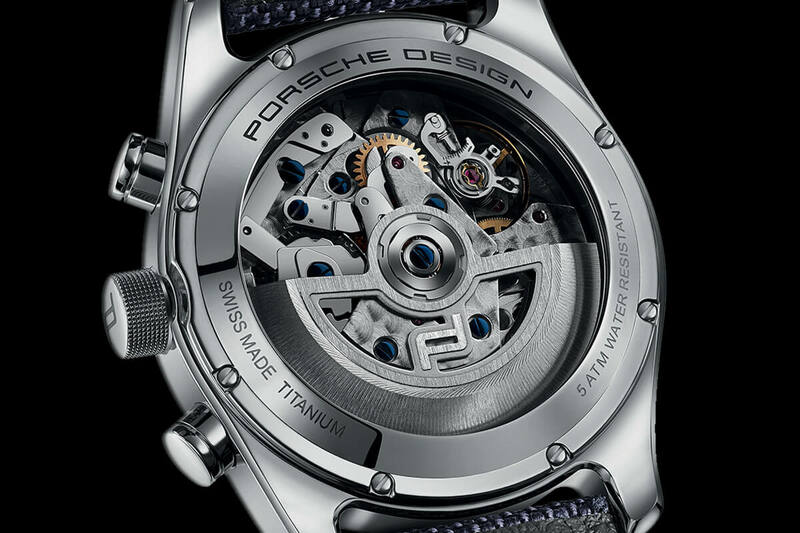 Hence, Professor Porsche changed yet again the watch industry, setting a new benchmark. The chronograph’s heart was the future classic Valjoux cal.7750. This iconic caliber unveiled on July 1, 1974, at the same time when the Japanese were producing the first batches of quartz chronographs. Based on the manual-wind Valjoux 7733, the 7750 was one of the first movements to be designed with the aid of a computer. It uses an automatic-winding module attached to the top of the movement, winding in one direction by means of a single double-click wheel. The 7750 was a 13.25 ligne (30 millimeter) design, 7.9 millimeters thick with a 42 hours of power reserve. Initially using 17 jewels, current versions run in 25. Its layout is straight forward and offers great legibility. We can observe small seconds at 9 o’clock, the 30 minute counter at 12 o’clock the 12-hour counter at 6 o’clock and the date/day window with quick set function at 3 o’clock. This legendary caliber runs at 28,800 bpm (first editions run at 21,600bpm) and it has a great reputation of being extraordinary tough and nearly indestructible self-winding mechanism. 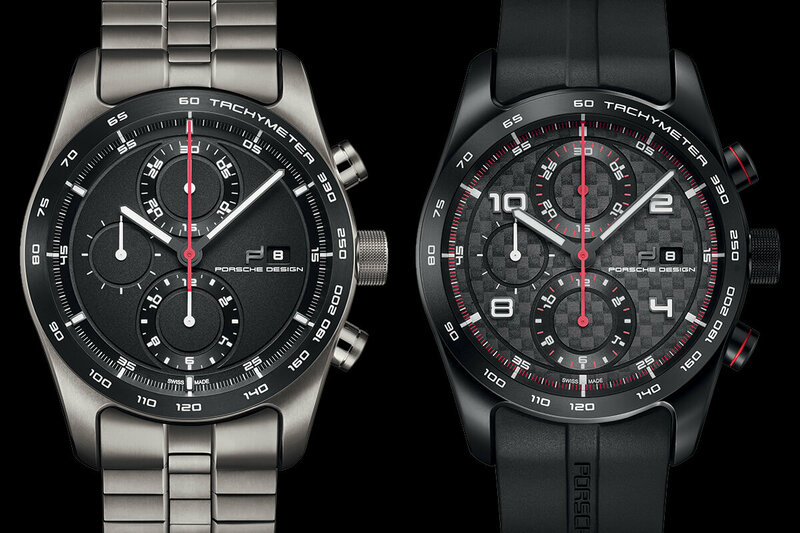 With the Chronotimer Series 1, Porsche Design presents chronograph timepieces influenced by legendary Porsche Design icons produced in 1972 and 1978; in essence we are dealing with a fusion of these timepieces constructed from the best materials with the highest standards. 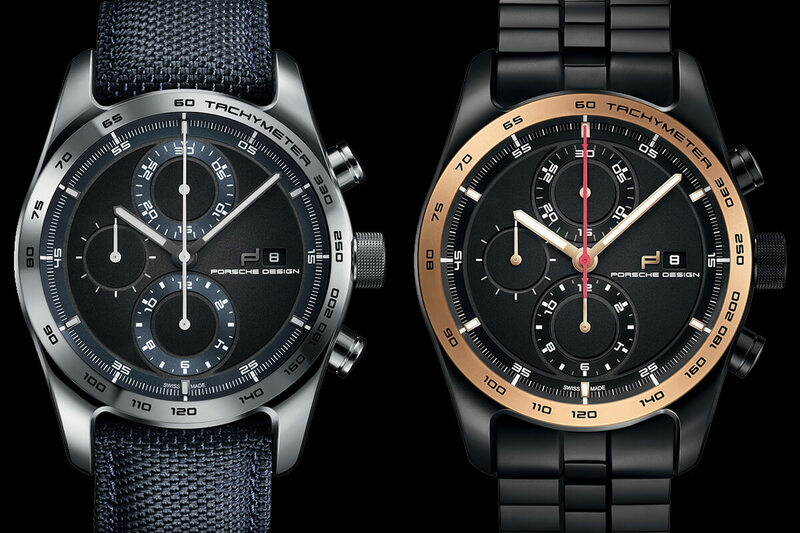 The Porsche Design Chronotimer Series 1 was developed entirely by Porsche Design Timepieces AG, based in Solothurn (Switzerland), and was also manufactured in Switzerland. The diameter of the titanium case is 42mm. The bezels are available in black, titanium or 18-carat rose gold. The colour of the dials also comes in many flavors: black, carbon or deep blue, while high-quality leather, high-tech fabric and rubber are the choices the buyer has regarding the straps; of course a titanium bracelet is available as well. Last but not least, the watch is powered by the ETA Valjoux 7750 caliber which can be seen in its full glory by the black-tinted sapphire crystal case. The Chronotimer Series 1 is water-resistant to 5 bar and will be launched in July 2015. 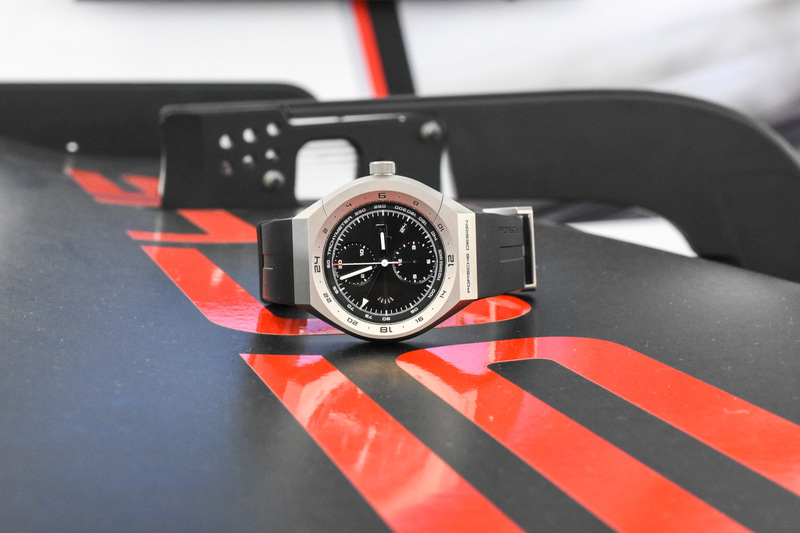 The Chronotimer Series 1 by Porsche Design continue the tradition as puristic and timeless precision instruments being persistent to the driving principles defined by the great Butzi Porsche. 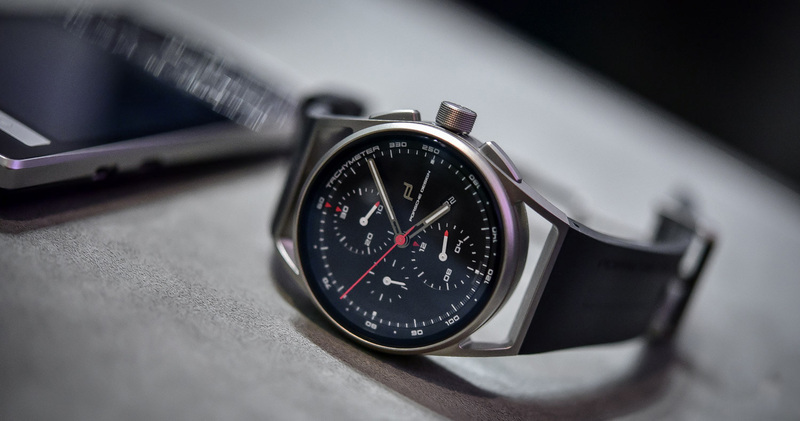 The whole design of the watches, in parallel with the choice of materials makes these new offerings by Porsche design luxurious and at the same time austere which is a paradox if one thinks of it. Despite this, this series of watches manages to balance between these two extremely well and the result is certainly eye-catching. For Information about the legendary caliber 7750 please check: Walt Odets. THE VALJOUX 7750 CHRONOGRAPH.